We all know how hectic modern life can be. With stress running rife, after a long, busy day, you should never forget how important it is to unwind. In a perfect world, I’d enjoy a quick trip to the spa every night, but of course, that’s just not practical — unfortunately, I have neither the time nor the money. But that doesn’t mean I can’t bring the spa home to me, does it? A personal favorite of mine is having my feet pampered. Like many people, I spend a fair amount of my day on my feet; by the time I get home I’m completely fed up with all the little aches and pains which seem to build up. If my other half isn’t feeling up to giving me a foot massage — which, let’s face it, he rarely is! — then trust me, a good foot spa is a godsend. Finding the best foot spa for your needs can be tricky, though, so the girls at Blissful Relaxation have tested out the top foot spas for this guide. Because the difference is slight, we’ve also included the best foot bath, giving you a complete picture of the home spas available to buy in 2015. Convenience: There are plenty of good spas around these days, but (unfortunately) it’s just not practical to go every night — not to mention expensive! 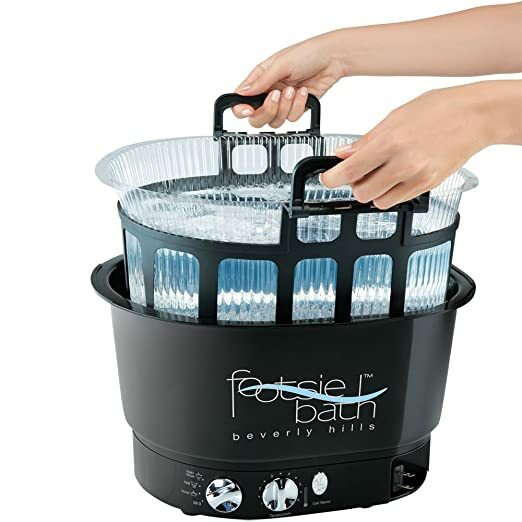 An at home foot spa is a convenient alternative that can be used in the comfort of your own home. Relaxation: The main purpose of the foot spa is, of course, to help you relax. A heated pool of water, massaging water jets, and a soothing aroma are incredibly effective at helping you forget your daily woes. 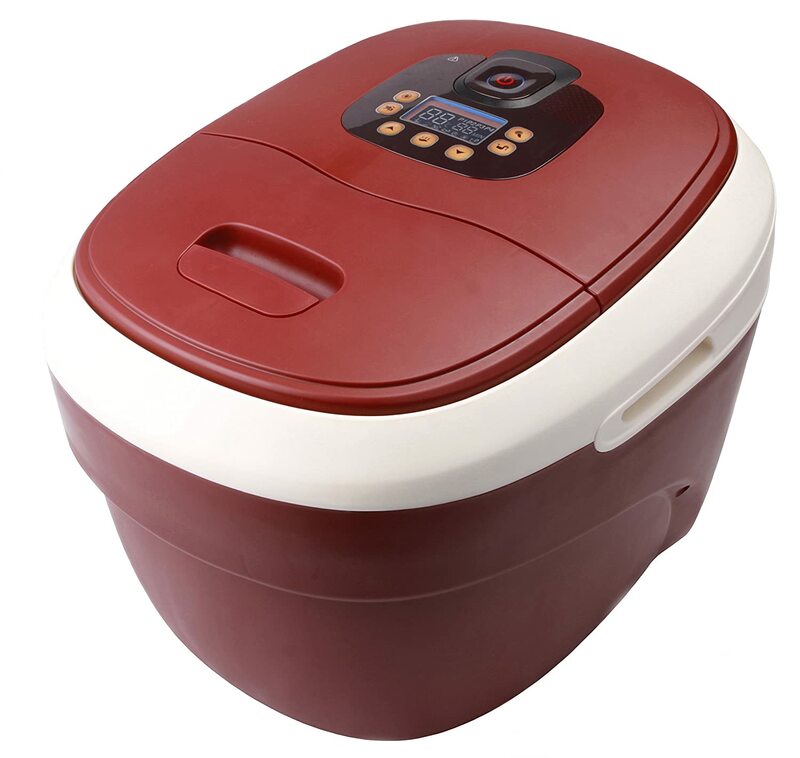 Better Circulation: The heated water and the massaging jets will encourage the blood flow in and around your feet, perfect for relieving all the niggly little pains that can build up over a hard day. 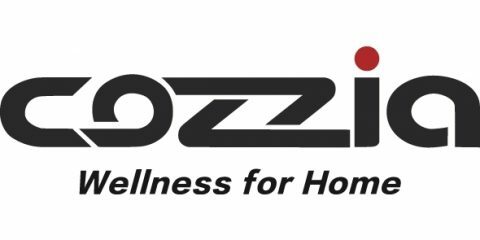 Health: Most of the top foot spas allow you to mix your own essential oils (which you can find from Earth Zen Wellness), soaps, or salts into the water in the spa, and their soothing properties will leave your feet feeling soft, refreshed, and in a much better condition. Reflexology: Many relaxation experts argue that certain points in your feet are closely connected to other parts of the body; take care of your feet and you’ll feel better all over. If you want to learn more about our top rated foot spas, here is a brief review for our top three products. 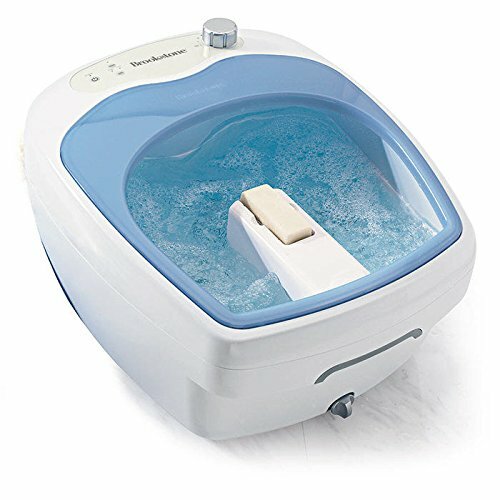 Where to start with the Brookstone Heated Aqua-Jet? 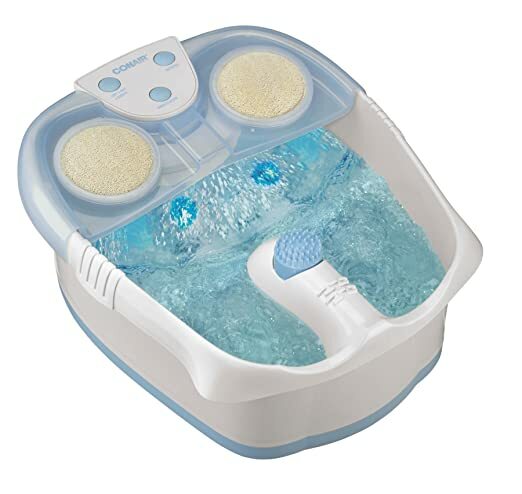 First off, it looks fantastic; you can tell just by looking that this is one quality foot spa! 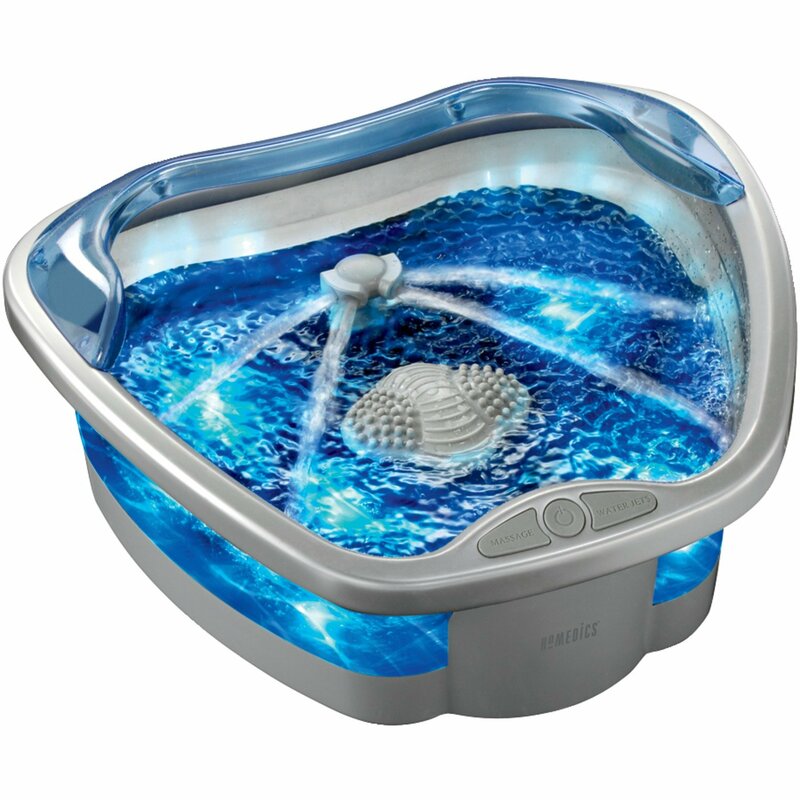 As with everything, though, we’re primarily interested in performance, and the Aqua-Jet doesn’t disappoint — there’s a reason we voted it our best foot bath! In fact, everyone who tried it loved the experience and agreed that it was easily salon quality. The Brookstone has an impressive heater. According to the manual, it heats upwards of 115 degrees, which is perfect for those of you who like the option of having their water nice and hot — not warm, hot! 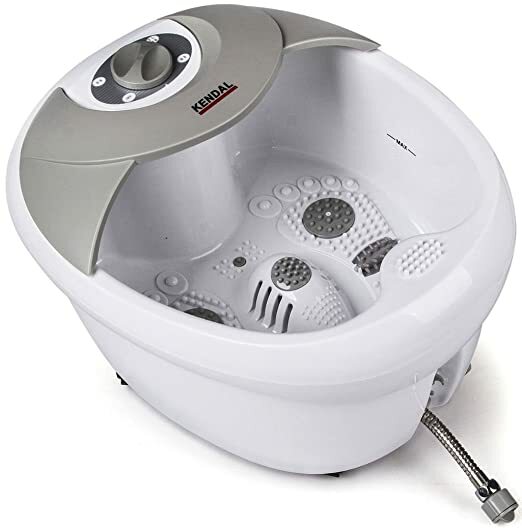 It also comes with two powerful rotating water jets, which can be switched between two power settings; the lighter setting I found very soothing, while the higher setting was impressively powerful, massaging the tension right out from my feet. If you’re anything like me, it’s the arches of my feet that carries my tension, and need a massage the most — the Aqua-jet includes two “rolling nodes” which are designed for this very purpose. Brookstone have every angle covered, and there’s even a pumice stone for exfoliating the feet, though this can be removed if it’s not for you. 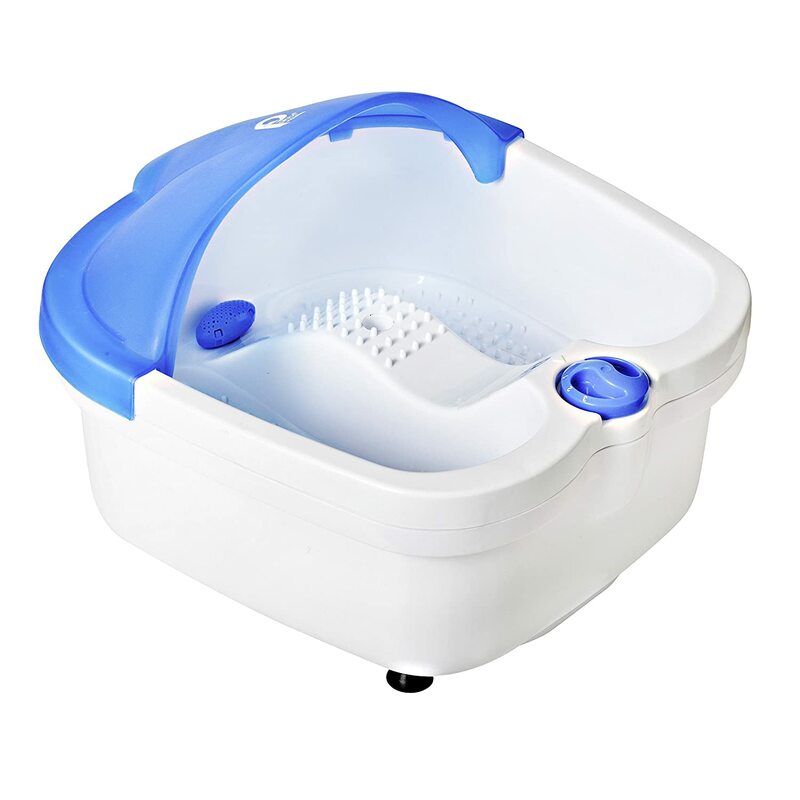 It holds an impressive amount of water, making this an ideal foot spa for big feet, as my husband will attest to! 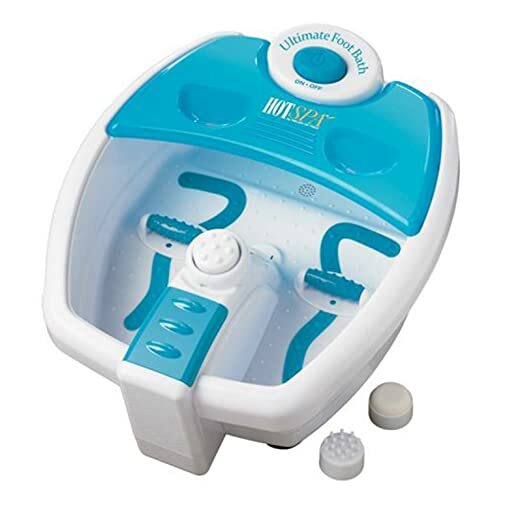 The one downside to the Brookstone’s solid construction is that the spa can be quite bulky, especially when filled with water — however, solid structure means durability. It’s not the cheapest foot spa, but considering the build quality, you’ll get years’ worth of use from it. Given how well it performs, you might even save money as you won’t need to take as many expensive trips to the salon! Hot Spa Ultimate Foot Bath came a close second in our guide to the best foot spas. The manufacturers claim to have created one of the most versatile foot spas on the market, and we’re inclined to agree. The heating element works great and will heat up cold water in no time at all, but the HotSpa really comes into its own when you consider all the different settings and features. It comes with three different attachments (only one can be attached at any one time), allowing you to choose your favorite, or even just mix it up. First, you get a pumice stone, which is like an aggressive exfoliator, perfect for removing any calluses on your feet. There’s also a more gentle “exfoliating brush” and a “circular massager”. Personally, I like to rotate these attachments, as each one offers a different experience. At the bottom of the spa, there are two acupressure rollers, which are great for providing an intense massage to targeted areas of the foot, such as the arches. Anyone who’s on their feet for much of the day will really appreciate these. 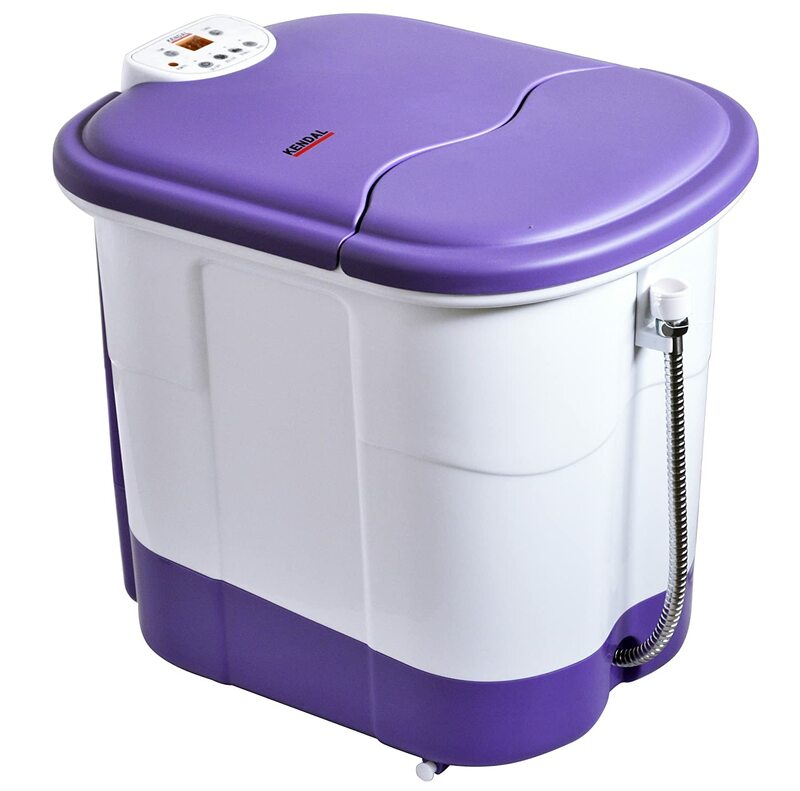 The HotSpa holds a lot of water, making it suitable for users with large feet. It has an effective splash guard, too, which really does prevent water getting everywhere. If you like to add your own salts or oils when soaking your feet, it’s easy to do so; the Helen of Troy spa includes an opening to put these in directly. I always like to add my own products, so I find this feature really handy. We’ve saved the best feature for last, though: the HotSpa has four unique settings. The first, “soak”, is technically “off” so we think the manufacturers have been a little sneaky to count this. However, the other three more than make up for this — infrared heating massage, bubble, and water jet are the three options, and each offers something very different. All in all, a very good foot spa for the price, and with more than enough variations to keep you coming back for a long, long time! 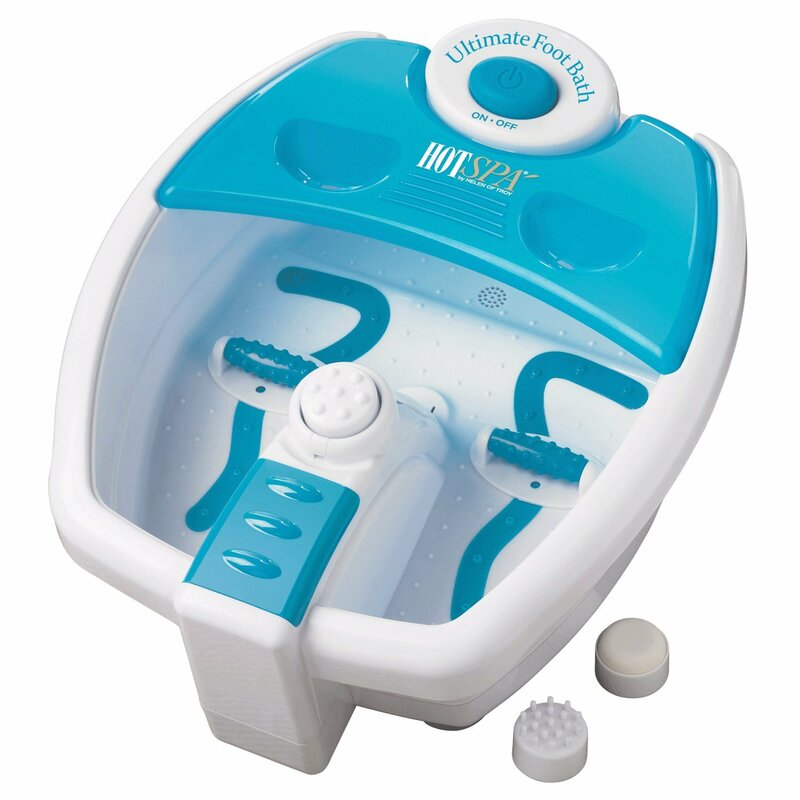 The Conair Waterfall Foot Spa can’t compete with our top foot spas on performance; however, it does represent fantastic value, and for those of you who can’t justify a big outlay on a foot spa, the Conair is a great alternative. First off, it is a good foot spa in its own right. Conair seems to have accepted that because it lacks the massaging capabilities (there are no high-power, massaging water jets) they would focus on providing a tranquil, spa like experience. With a price of less than a typical spa treatment, they’ve really nailed it! Because of the lower cost, the Blissful Relaxation team were more interested in trying out the “premium” foot spas, as you’d expect. However, when did try it out, we were more than happy to admit that we were wrong; we all agreed that Conair had created a great product at a great price. Like the Helen of Troy spa, the Waterfall comes with three attachments: a pumice stone, exfoliating brush and rotating massager. Whilst admittedly, the quality wasn’t quite as high, they were all fully functional, and very effective. The spa’s name comes from the waterfall feature, as water is sucked up and gently trickles down on to the tops of your feet. This is described as “massaging” and whilst we wouldn’t go that far, it’s a very soothing sensation. My favorite feature was the blue LED lights, which sit under the water. They reflect the water and this creates a very relaxing visual sensation, which was lacking in most of the other models we reviewed. This goes a long way to recreating an atmosphere similar to one you’d experience in a spa. There are water jets, used to create bubbles, but these are very weak; not really a problem, unless you can’t live without a high pressured jet. The main drawback, for us, was the lack of heat. Whilst the spa is heated, it was quite ineffective — you’d be waiting all day for cold water to heat up completely. You’ll need to add hot water to this spa, but the heating element does a good job at keeping the water warm. As long as you remember this, you’ll get on with this foot spa just fine. 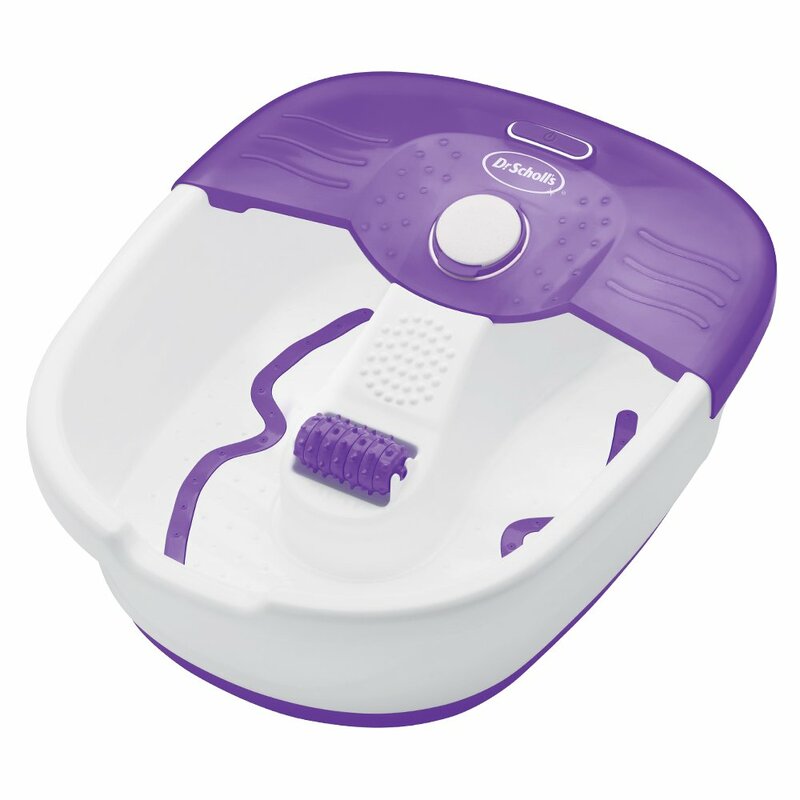 Overall, a very good foot spa, and if you want a low-cost foot spa, look no further than the Conair.